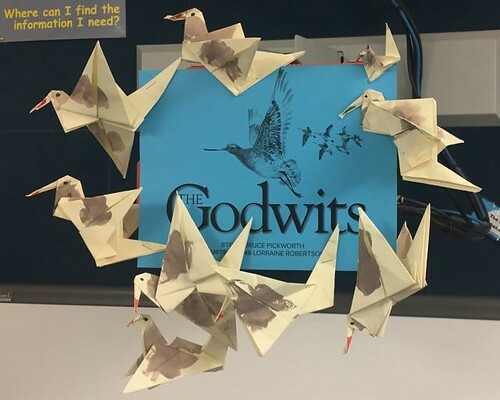 14 teacher librarians met at Nepean Performing Arts High School’s library on Wednesday afternoon and enjoyed sharing some great ideas from their 2017 CBCA Book Week celebrations. 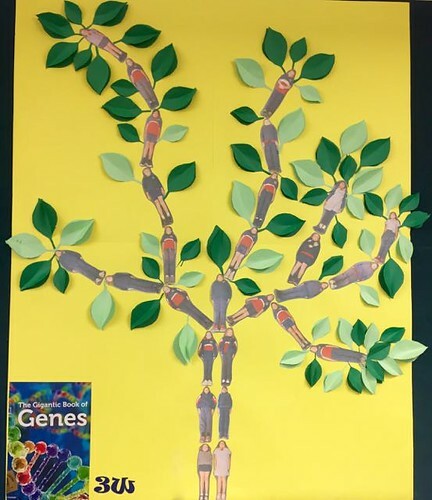 Sue Pitt and Ian McLean had prepared digital slideshows to present and Kelly Finch shared an art activity that involved using Publisher‘s tools to change backgrounds from photos of students reading to create new surroundings so they could “Escape to everywhere”. 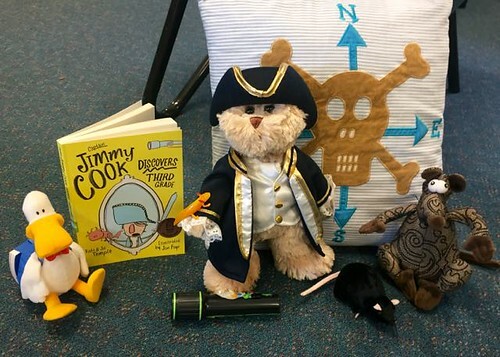 #BookStyling: Captain Jimmy Cook discovers third grade. Many thanks to our teacher librarian host, Karuna Chetty, for making us feel so welcome. 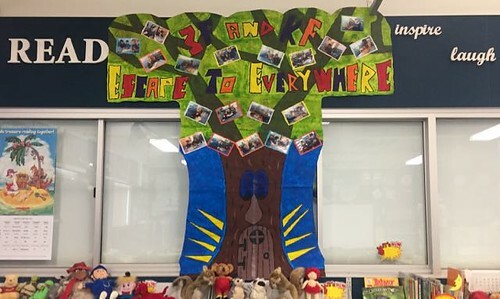 Here are Penrith PS’s class displays to celebrate CBCA Book Week! Click HERE to view a slideshow. 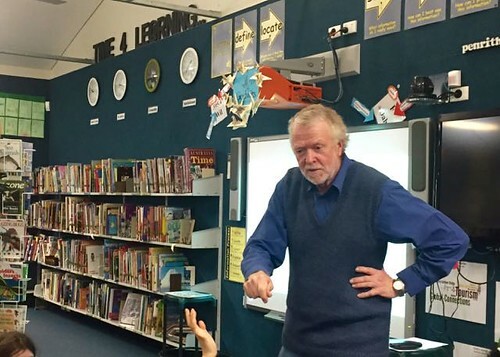 During Book Week, Penrith PS also had a visit from author Bruce Pickworth, a former teacher at that school. 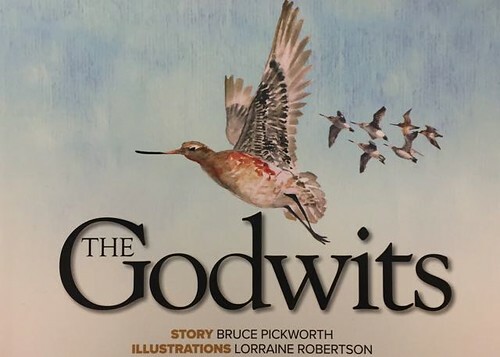 He had introduced his picture book The godwits to students in Class 23, and all of Stage 2 and Stage 3. 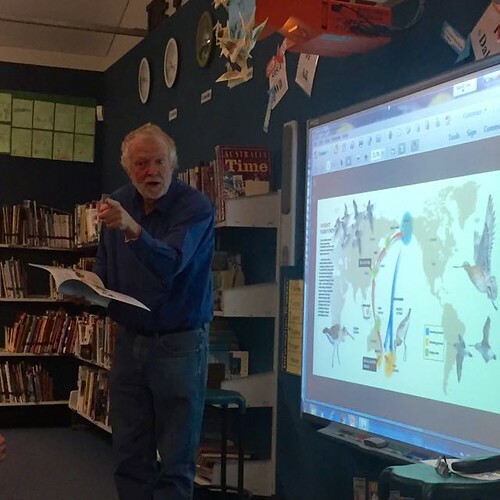 This resource has strong links to the new geography and history syllabuses, and will feature at our Term 4 full-day meeting. 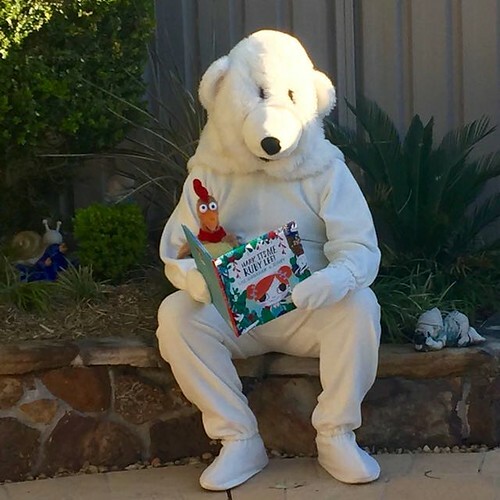 Bear and Chook read the latest picture book by Lisa Shanahan. 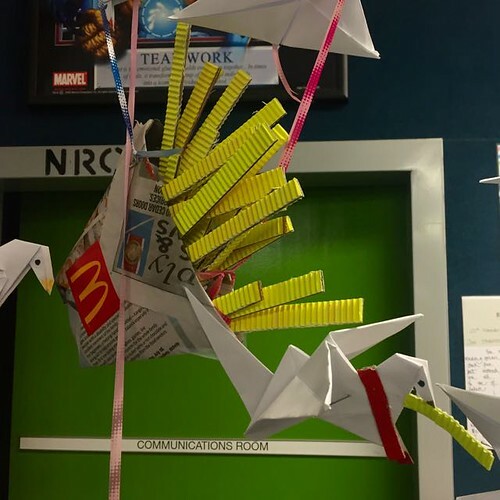 Supporting teacher librarians in Penrith, Mt Druitt, Blacktown and Windsor in western Sydney, Australia.